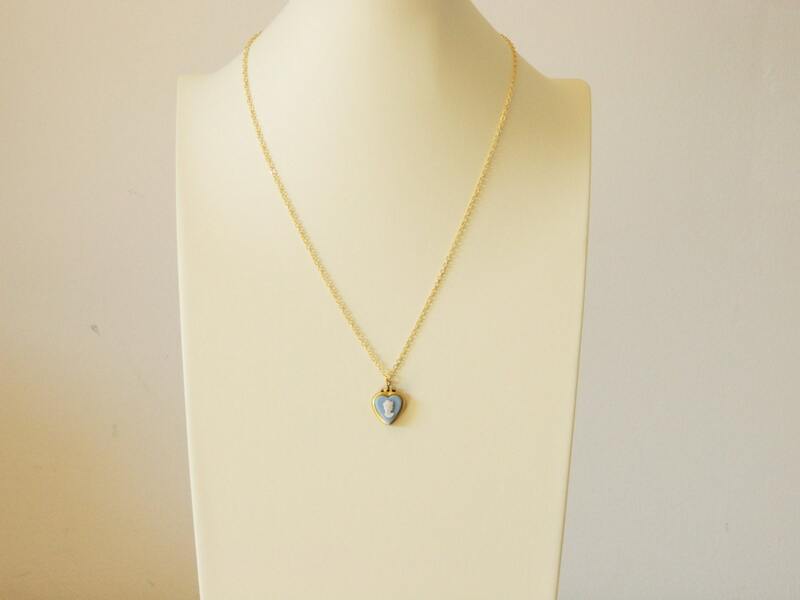 Vintage Blue Cameo Heart Locket Necklace. Vintage 60s. 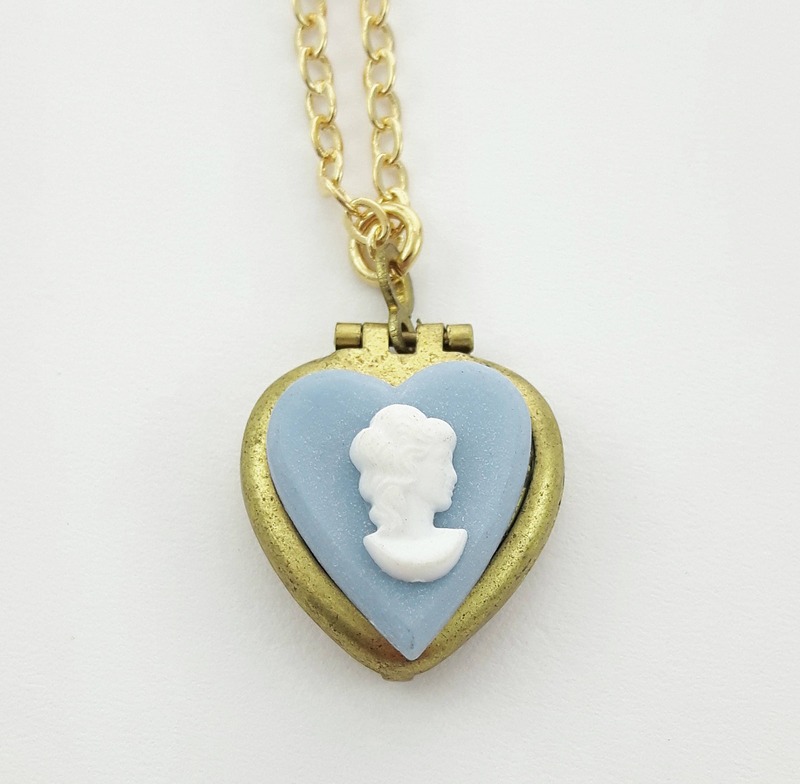 Tiny Antique Cameo Locket on new gold plated chain. 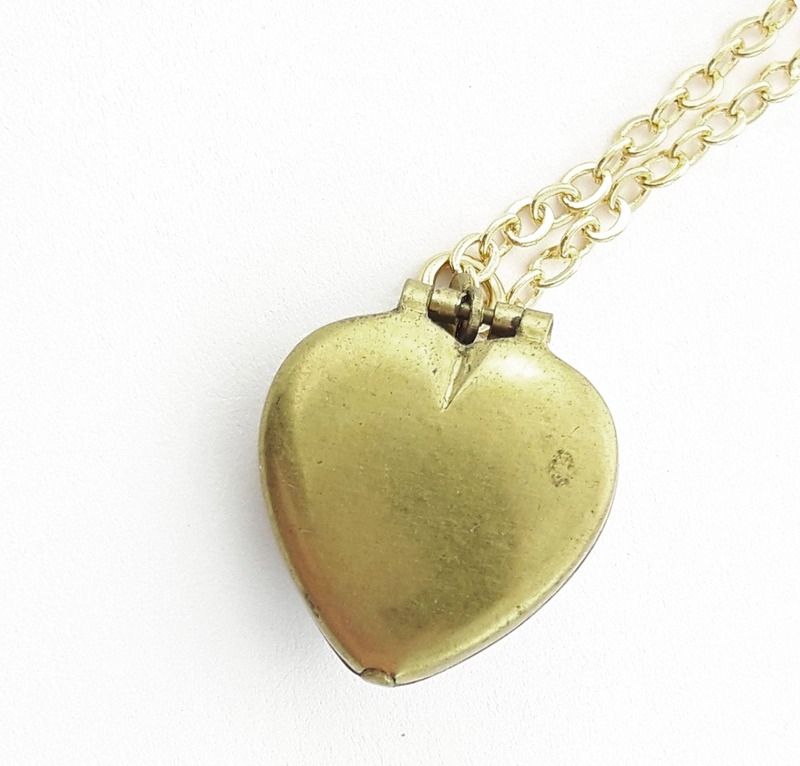 Locket Dimensions: 15mm H x 15mm W.
Locket Material: Brass and Resin. 18” chain length with 1.25" extension chain and lobster claw closure.